GROUP CHARTERS TO THE CENTRAL ATOLLS. 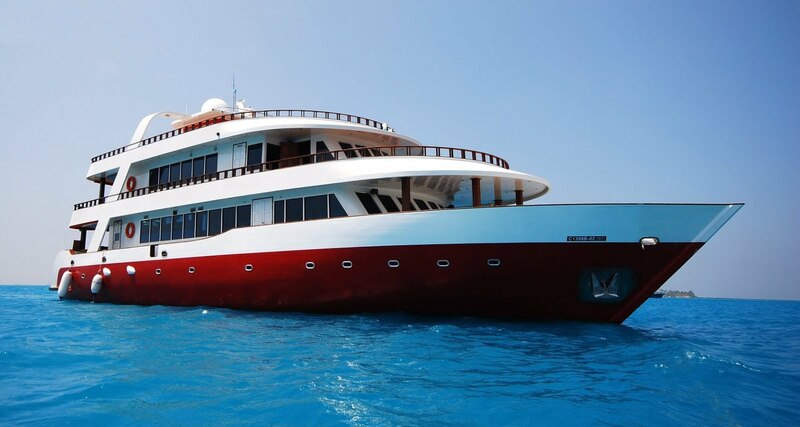 Theia is available for custom group charters to any region throughout the year. Sail down & back or Fly-in / Fly-out with direct connections to most international flights arriving and departing from Male International Airport. Fiyani or Nahu: Two of the Maldives most experienced local guides and both very able photographers. These guys know every aspect of the Central Atolls and will ensure you’re at the right place at the right time. There are a range of variables with the four Central Atolls and understanding the swell direction and size and the forecast winds is essential in getting the best surf. And of course being Maldivians they don’t have any limitations in communicating and working with boat crews and locals. Captain – Hussain Rasheed has been Theia’s captain for the past 8 years and is extremely knowledgeable of the maze of atolls; islands; reefs and of the weather conditions so important for safe cruising. Bring non-surfing partners and families for a luxury tour through the tropical islands of the four Central Atolls; all cabins have double beds and the Suites are especially suited for couples. Designed to spoil its guests, Theia has all the beauty, style and finish of the finest traditional timber motor yachts, but is thoroughly fitted out with every modern feature for fun, safety and comfortable cruising. Theia‘s sun deck adjoins the ‘Sky Bar’, so you can soak up the sun and your favourite drink while watching the passing parade of picture-perfect tropical islands. Most meals are eaten al fresco, in the shaded, on-deck dining terrace. Our on-board chef, sous-chef and waiter are dedicated to bringing you the finest, and most filling, selection of Asian and European dishes. There’s also a spacious air- conditioned lounge with a bar, panoramic views, flat screen TV, video, DVD, PlayStation 3 and a Wii. Guest accommodations on Theia includes a deluxe double cabin, five superior rooms and two Seaview Suites. All rooms are air-conditioned with en-suite facilities. Most rooms are double occupancy, but two can be converted to triples on request, giving a maximum of 18 guests per trip. The luxurious Seaview Suites feature fine linen, polished timber panelling and big picture windows so you can wake to magnificent views of sapphire blue waters and palm clad tropical islands. Theia is powered by a 480 hp Doosan Daewoo marine engine and is accompanied by a 17 metre support dhoni and tender to access the surf breaks.